Architects plan printing from mailed PDFs to copying. From A3 to A0, we provide a fast while you wait service. 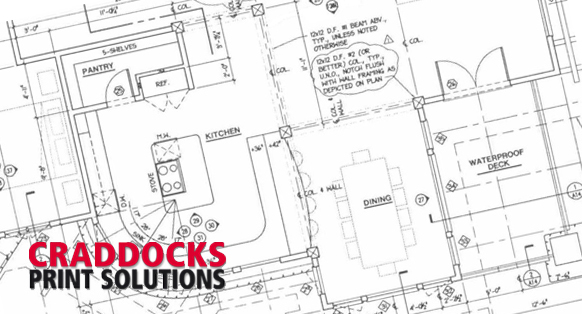 Craddocks have been supplying local architects with our plan printing service for many years. We have an in depth knowledge of formats and presentation that enable us to produce exactly what you need on time in the correct format. We are happy to print directly from PDF’s supplied or you are welcome to call in with your material and we are usually able to print copies for you while you wait. Call for a quote or get in touch through our website. Copyright © 2011 Craddocks Print Works Ltd. All rights reserved.